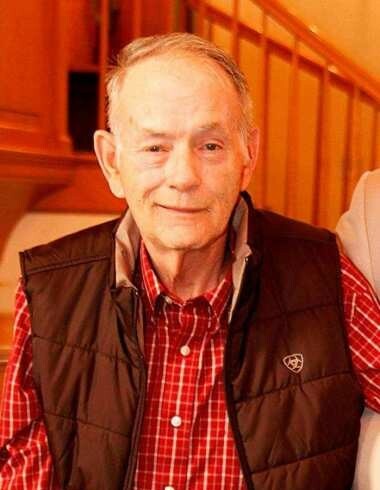 Wayne Londrie, 71, of Elvaston, passed away on Sunday, February 3, 2019, at Montebello Healthcare Center in Hamilton. Wayne was born on October 8, 1947, in Keokuk, Iowa, the son of Kenneth and Helen (Jones) Londrie. Before his stroke, Wayne owned and operated Londrie Logging for many years with his brother Sonny and Bill Watkins. When he wasn’t working, Wayne enjoyed watching auto racing and the Dallas Cowboys, and watching his grandchildren’s sports games. He was also a former member of the Elvaston Community Church. Wayne is survived by his son Kevin (Kim) Londrie of Keokuk, Iowa; two daughters: Tammy (Kreig) Koehler of Basco, Illinois; and Tina (Francisco) Harl of Elvaston, Illinois; three brothers: Max (Ann) Londrie of Washington, Illinois; Michael Londrie of Carthage, Illinois; and Gary (Marie) Londrie of Tonopah, Arizona; three sisters: Lois Bloyd of Carthage; Margie Thomas of Buckeye, Arizona; and Mitzie (Earl) Bland of Basco; eleven grandchildren: Arynn Londrie, Devin (Morgan) Londrie, Tyler (Fran) Humphrey, Trenton Humphrey, Brandon (Lauren) Koehler, Shelby Koehler, John Koehler, Aron Koehler, Erica Stewart, Joseph Londrie, and Enrique Hernandez; six great-grandchildren: Ava Humphrey, Lilyana Bliss, Elijah Stewart, Ahmaya Carden, Ahlaya Nash, and Brighton Ackley; and one great-granddaughter, Amelia Londrie, on the way. Wayne is also survived by numerous nieces, nephews and cousins. Wayne is preceded in death by his parents; three brothers: Joseph, Sonny and Randy Londrie; and four sisters: June Propst, Claire Londrie, Bonnie Sue Cosgrove and Marsha Londrie. Wayne’s life will be celebrated with a funeral service at 2 pm on Wednesday, February 6, 2019, at Printy Funeral Home in Carthage, with burial to follow in the Elvaston Cemetery. Visitation will be held on Wednesday from noon to 2 pm at the funeral home directly before the service. Memorials may be directed to Blessing Hospice.